Here’s a little experiment–an audio version of one of our now-regular feature, the Face Off. 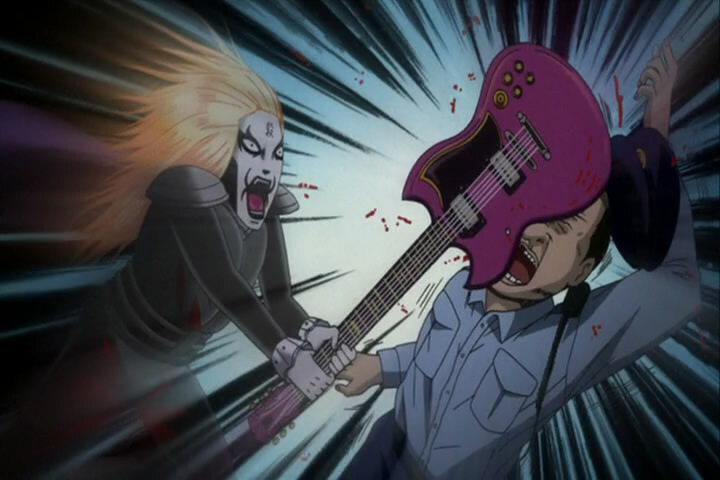 Here, we have a rambling conversation about the recently concluded Detroit Metal City, one of the most outrageous and yet hilarious comedies to come along in anime in a while. We talk not only about the final episode but also about the manga, and why there doesn’t seem to be any bands today that are like DMC.